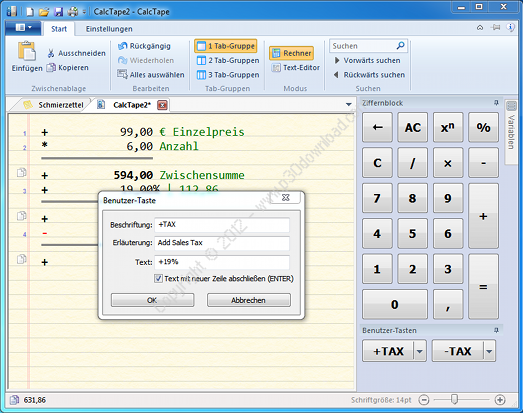 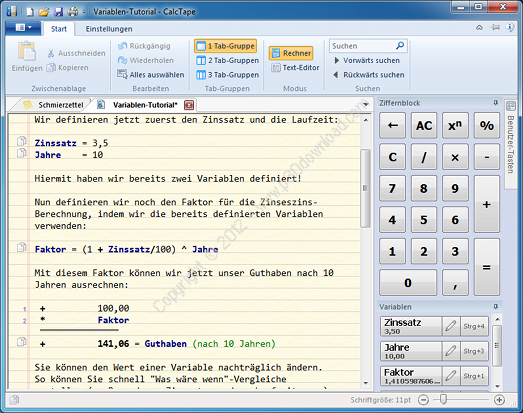 CalcTape Pro is a handy and reliableapplication designed to perform and save mathematicscalculations. 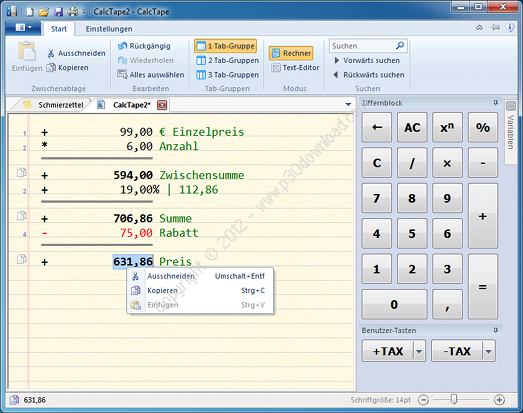 The calculations are structured so the factors and the results arevisible and easy to follow. 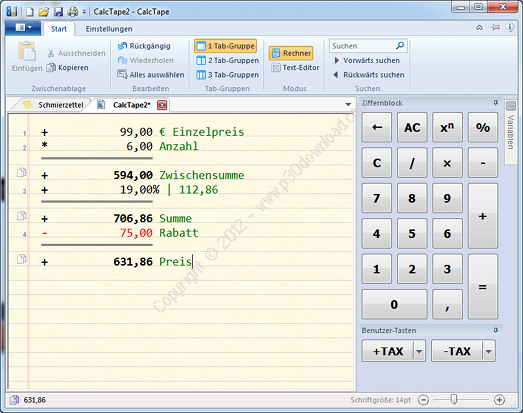 You can also divide the workspace intoseveral groups for multiple worksheets.